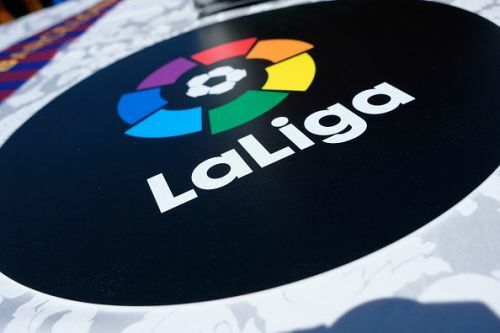 We are just 2 weeks away from the first match of the new La Liga season. The clubs are keen on signing new players and are doing all they can to get their top targets. Kevin Gameiro was all set to join Valencia this week but all that has been thrown out of the window. Reports in Marca suggest that Borussia Dortmund have bettered Los Che’s offer for the Frenchman and are now favourites to sign him. Marca claim that BVB have bid €23 million for the striker – €9 million more than what Valencia offered. The German side is keen on signing him after failing to agree a deal with Chelsea for Michy Batshuayi. The Chelsea star is also a target for Atletico Madrid but not their #1 choice. The Europa League champions are keen on signing Nikola Kalinic with Olivier Giroud also on the list pf targets. Leicester City are keen on signing former Manchester United star, Adnan Januzaj according to Leicester Mercury. The Foxes are keen on signing a replacement for Riyad Mahrez who left for Manchester City earlier this summer. The Real Sociedad man has a €60 million release clause and the Spanish side are adamant on not selling him for anything less than that! The Belgian impressed at the World Cup when he got the chance and now Leicester are looking to take him back to the Premier League. Manchester United have a first refusal option according to the report. The Red Devils can sign him for €40 million but that seems very unlikely to happen right now. Santiago Arias, Atletico Madrid's new signing, has revealed that he has been told that it is like going to war when playing under Diego Simeone. The Colombian, who joined from PSV Eindhoven, is a direct replacement for Sime Vrsaljko. “I’ve been told that here it is like a war and that you must fight right until the end. I know the qualities of this team, how they play, and also the Coach, and I like that too. This is a big club where I can learn a lot of things, both from the Coach and the players,” said Arias.